Is Heritage Gurgaon School storming the norm? My son in nursery at Heritage School decides for himself what to wear to schools. The school and the teachers have helped him appreciate that he will be comfortable in track pants. I am happy to see that even at this early age he is aware of what he should wear. There are more, feel free to read them all mentioned as answers to this question Since Heritage Gurgaon does not have uniform for students, do the parents find it good? What about the children? This battle easily calls for a ‘For and Against’ debate. And Moms of Heritage Gurgaon School can easily draw a conclusion from it. But would it help? Will Heritage Gurgaon School listen? Or has this school already found a solution? Here is a list of points that the Mums think is valid. Now you be the judge. Now who wants to deal with that every morning? There is definitely less pressure in deciding what to wear every day and also reduce the cost of buying new clothes. Phew! The bus is here, or the car is waiting but all this can wait as those 2 minutes are for the final look in the mirror. This can be avoided as there will be less fashion time to get ready. There will no more be the ‘mango people’; it will become the ‘Brand people’. The peer pressure to wear trendier brand can be easily avoided and peace can be maintained in school. Concentration will be more on studies and homework rather than thinking of what can be worn the next day. 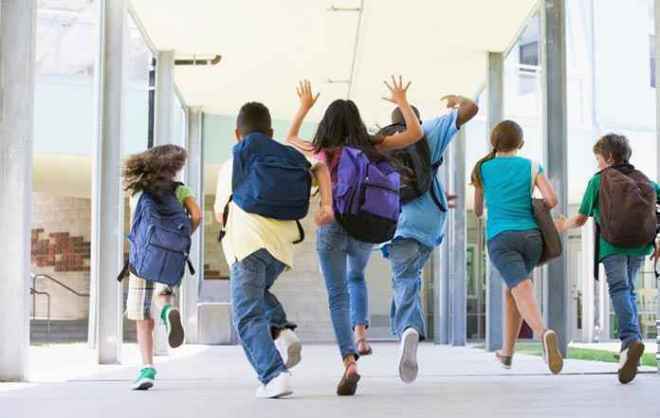 Intruders in school are more easily identified in a school of uniformed children. Children when growing up want to express themselves, and by choosing what to wear is better than those undesirable forms of expression like tattooing and piercing. School is a place where children from different culture come together, so why not celebrate that diversity by wearing what they want to? Children become independent and decisive. They decide on their own and feel confident about themselves. Uniforms are costly and come as a ‘necessary expense’ for the child. It can be a financial burden on some parents. They can easily buy clothes which are less expensive and repeat them through the year. Children in uniform can be easy target of bullies from another school and can be part of their jeering activities. Now that you see the arguments of both the sides, can you decide which side to choose? Or you are happy with the solution made by Heritage Gurgaon School of opting for a dress code (Track pants, T-shirts, Sport shoes) instead of uniforms and fashionable clothes? Have an opinion? Voice it!